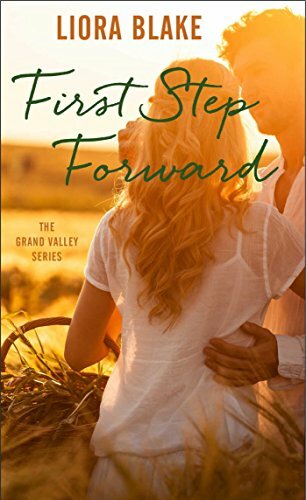 Pro-football player Cooper Lowry is off the field and into some trouble--in the form of a very alluring, very free-spirited apple orchard owner named Whitney Reed--in the first installment in Liora Blake's all new Grand Valley series. Is he stubborn, short-tempered, and impatient? Yes. Are jersey chasers more trouble than they're worth? Absolutely. Has he ever imagined a life beyond the game? Nope. Cooper has built an enviable career--the result of staying focused, working hard, and keeping his head on straight--even as his body takes the brunt. So when a hard hit during a Sunday home game leaves him in a dazed heap on the field, it's nothing more than another day at the office. The only thing that's different about this Sunday is a chance encounter with a certain fascinating, beautiful free-spirited woman. And some sternly-worded instructions from his coach to take a little time off and give his body the TLC it craves--before he does lasting damage. Whitney Reed is a few months away from losing the organic fruit orchard she bought three years ago in the tiny town of Hotchkiss, Colorado. At the time, she was just looking for a place to get lost. Instead, she found a home, somewhere she could finally put down roots. Now foreclosure is knocking on her door--along with a grumpy, gorgeous football player who might be just what she never knew she needed.